Managing director of the South Pars Gas Complex (SPGC) Masoud Hassani said SPGC is Iran's biggest supplier of feedstock to petrochemical facilities across the country. 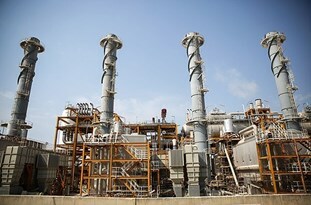 According to National Iranian Gas Company (NIGC), Hassani said the petrochemical plants operating near the facility consume 8,000 tons of ethane produced by SPGC every day, adding the amount can increase up to 10,000 tons/day. SPGC refineries process 700,000 barrels/day of gas condensate which will reach 1.04 mb/d once new phases of the supergiant South Pars Gas Field come on-stream. The complex supplies over 70% of Iran's gas demand; the share will increase by 12% by inauguration of new South Pars phases.